Browse: Home / Uncategorized / Myrtle Beach Reptile Expo- It’s Getting HOT in Here! Myrtle Beach Reptile Expo- It’s Getting HOT in Here! 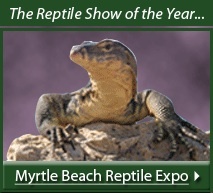 Come to the Myrtle Beach Reptile Expo at the Myrtle Beach Convention Center this weekend! This will be one HOT show in the heart of the South. 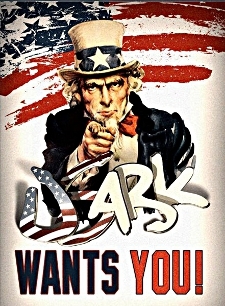 Make sure you stop by the USARK booth and say hello. There will be a very important fundraising auction Saturday night following the show to benefit Sean Bradley from Exotics by Nature who suffered a terrible fall over the 4th of July holiday. His family could really use some help. Sean is one of our own. Donate generously. Please thank Jay Eaton for supporting USARK and providing a platform to raise money for our brother Sean. See you in Myrtle Beach! When: Saturday August 11th - 10 am - 5pm, Sunday August 12th - 11 am - 4pm, VIP Admission is available Saturday from 9-10am.